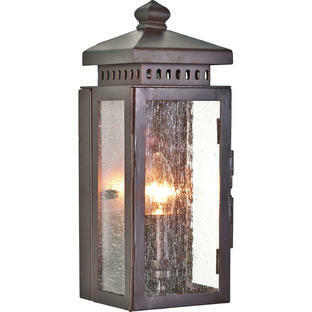 A simple, symmetrical and stately durable lantern. 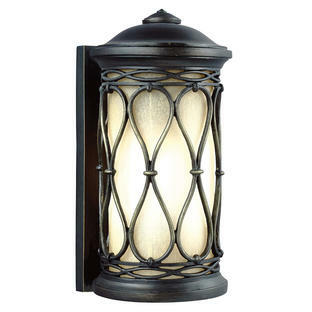 The traditional Federal outdoor lantern by Feiss like the ubiquitous architectural style is simple, symmetrical and stately, shown through the beautiful molding detail and its classic profile. 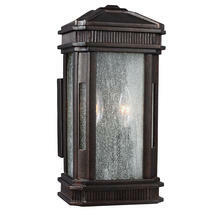 The clear seeded glass subtly obscures the light bulbs and softly diffuses light and helps hide dirt. Made of a proprietary composition, the fixtures have exceptional durability to withstand the harshest elements. 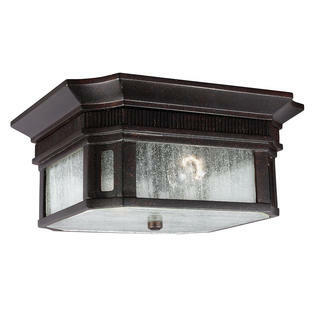 There is also a flush ceiling lantern available in this collection.